Counselling in Farnborough, Fleet and Guildford area, covering Hampshire, Surrey and Berkshire. 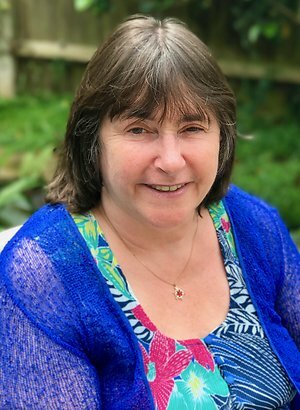 Hello, my name is Lesley Shrapnell, I have practiced counselling and psychotherapy for over fifteen years in Farnborough, Hampshire near Fleet, Camberley, Aldershot and Guildford, within easy reach of Surrey and Berkshire. I offer professional, sensitive counselling tailored to meet your individual needs. I am an integrative counsellor taking the best possible approach to your requirements, I do both short term and long term work. 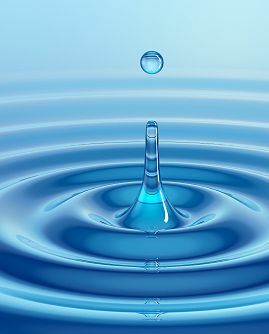 My approach uses Cognitive/ Behavioural, Personcentred, Psychodynamic, Transactional Analysis, in a manner specifically tailored to your individual requirements. I aim to see new clients within one week. Sessions last one full hour. miscarriage, birth, post natal including depression, and menopausal difficulties. I see teenagers/adolescents, individuals, couples and supervisees. I do corporate consultancy work visiting companies, or work with both management and employees in my private practice. I also undertake debriefing work for traumatic incidents at work. In addition I see parents and adolescents, employer and employee to resolve relationship difficulties, (both at my practice and in the workplace). I am a BACP Senior Accredited Counsellor / Psychotherapist (British Association of Counselling and Psychotherapy), and a UKRC Registered Independent Counsellor, and a MBPsS (Member of the British Psychological Society.) I am also a B.A.C.P. Senior Accredited supervisor and supervise counsellors, trainee counsellors and others. B.A. Honours Degree in Psychology, and a Certificate in Couple Counselling. I have also undertaken professional development completing NHS clinical training for Trauma Focused CBT for Post Traumatic Stress, and an ICISF (International Critical Incident Stress Foundation, Inc.) training on Trauma (from battlefield to street: one uniform to another). I have further completed professional development in couple counselling, affairs, family issues, sexual issues, depression, and forgiveness. I receive referrals from psychologists, GP's, occupational health departments, human resources, companies, employee assisted programmes, charities, parents, self. I have worked with Aviva, B.A.E. Systems, British Car Auctions, BUPA EAP, Cigna Health Group, Civil Service, Group 4, Hampshire Fire and Rescue Service, Health Sure UK, Live Well and Work Well, Johnsons, Marks and Spencer, Moving Minds, Nokia, Pathways Through Trauma, Reading Homeless Trust/Launchpad, St James' Place, Terrence Higgins Trust. If you need more information please contact: Lesley Shrapnell on 01252 546170. As an Senior Accredited member of B.A.C.P (British Association of Counselling and Psychotherapy), and as a member of B.P.S. (British Psychological Society) I am bound by their ethical framework for good practice in counselling and psychotherapy, and subject to their professional conduct procedure. Information you discuss is confidential, however I am required to receive professional supervision but your identity is not revealed. Also in very exceptional circumstances I may legally be required to reveal information in accordance with legal requirements. For your security I comply with GDPR (2018) legislation. Counselling and psychotherapy in Farnborough near Guildford and Woking covering Surrey, Hampshire, Berkshire.